During Agents of SHIELD's mid season break tvland was introduced to a rare take on a female hero in the premier of the show, Agent Carter. 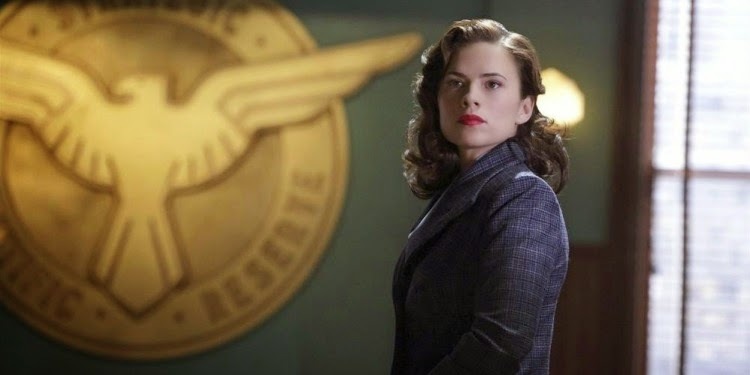 I don't know how many of you read comics or watched the Captain America film but there is a character by the name of Agent Peggy Carter who during WWII served in the military. Carter ends up working with Captain America and we never know what happens to her after her service. The show gives us a taste of what Carter's life as an Agent was like after Captain America "died" and how she had to carry on after knowing him. The show is set in the 1940's after WWII in New York City with the lead being a woman. 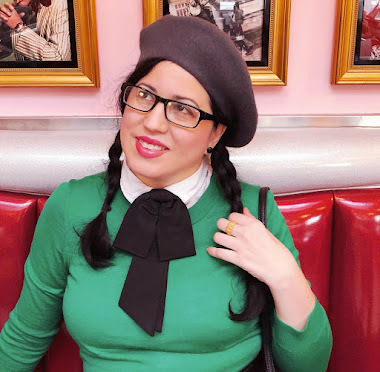 1940's and a female heroine? Oh my is that too good to be true? 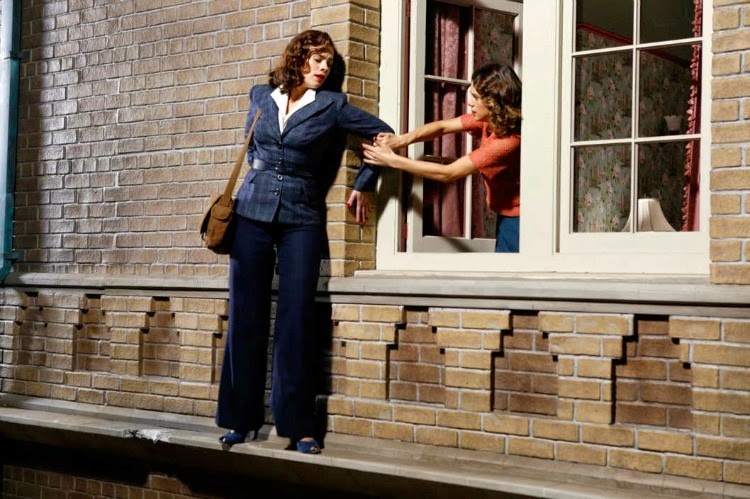 I dare say Agent Carter is a-mazing! My husband is even hooked on the show! It begins shortly after Carter learns of Captain America's disappearance and she has to carry on working as an Agent is a male dominated environment. She is beautiful and strong as well as smart and sweet. It's not easy for tvland to portray both a beautiful and smart woman on the small screen but in Agent Carter she has it all. She also displays physical strength, vulnerability, and bravey all the while wearing her fabulous red lipstick and victory rolls. I have to say that every episode gets better and each one to me seemed like I was watching a movie. It's really well done and so darn refreshing to watch a show that is set in the 1940's on American television as well as have a woman who is the hero of the story. She is perfect, she doesn't have super human strength or neat gadgets to get her out of jams but she does very well with what she has and you can't help but root for her the entire time. I love it and wonder if you have had a chance to check it out. Its currently on Hulu and hopefully will come back over the summer when Agents of SHIELD concludes their season. ABC has yet to announce if it has been canceled or renewed but having a female hero set in the 1940's is what girls these days need to see and I sure hope it gets renewed! If you have seen it, what do you think? If you haven't, do you think this is a show you would watch? Wishing you and your family an awesome, fun filled, and very happy Easter weekend, dear Daffny! My husband watches this. I've wanted to start watching it as well, I just need to find sometime to watch TV, ha. I can't wait to see this show! It's not released in the UK yet, I'm trying to be patient. I loved this show, and hope it returns. My husband also really got into. As it turns out I recently did a little cosplaying as Agent Carter, lots of fun. Thanks for sharing. 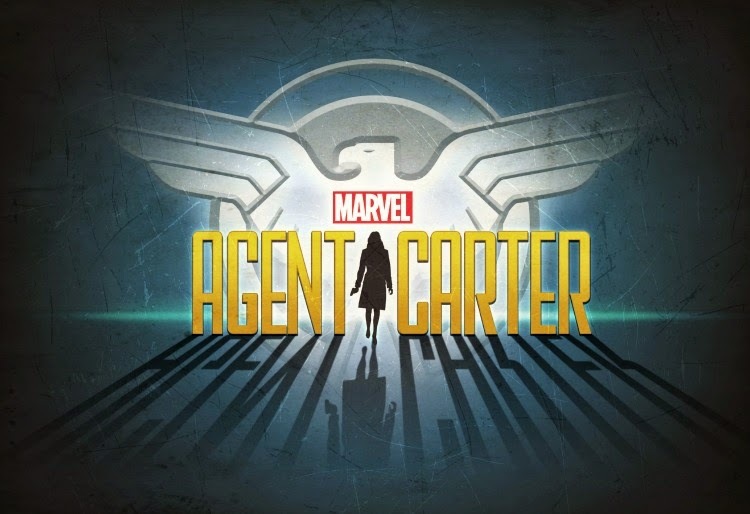 I really do hope it returns, both because it was so well written and well acted but also because Agent Carter is the sort of leading lady TV needs! Also a very interesting lens through which to view gender issues. I hope Hayley Atwell can find the time in between her movie career to commit to another season of this show and further exploration of this character.